The release of the latest UN World Water Development Report coinciding with World Water Day 2019 provides an appropriate context to rethink our relationship to water. In India, water is a daily worry for many people throughout the country. This is nowalso the case in Meghalaya that has long been known to the outside world for its plentiful rain but is increasingly in the news for its water scarcity and pollution. There are various worrisome trends with regard to water: In urban areas, supply can be erratic, insufficient and the water may not be safe. Such is the problem that the Meghalaya High Court took up the issue in October 2018 and is in the process of hearing a public interest litigation focusing particularly on the quality of the water provided. One of the consequences of the provision of insufficient or unsafe water is that this leads to various forms of privatisation of water supply, be that in the form of ‘water trucks’ or the newer water ATMs. This should not happen in a context where the fundamental right to water has been repeatedly recognised by the Supreme Court since the 1990s and where water is a common that should be shared freely among all water users. While urban water supply may attract most of the attention of policy-makers and the media, there are broader issues that deserve as much attention. Water scarcity is increasingly affecting many people during dry months is, like in other parts of the country, linked to changing weather patterns and anthropogenic climate change. At the same time, Meghalaya has no lack of rainfall and scarcity is due at least in part to other factors, among which deforestation and watershed management play a large part. This is surprising in a state known for its conservation ethics reflected, for instance, in its sacred groves often located on purpose at the source of streams used for drinking water. This links with the issue of river pollution that has diverse impacts, including on drinking water supply and the environment. The problem includes untreated sewage disposed in rivers that become the source of drinking water for downstream communities, effluents from factories and water discharged as a by-product of mining operations. The latter was in fact one of the issues taken up by the National Green Tribunal when it decided to ban mining in 2014. Pollution of water sources is also caused by the increasingly indiscriminate disposal of plastic packaging into the environment, including in water bodies, which is first a visual eyesore but more seriously a sign of the broader lack of concern for the protection of water in general, including catchment areas. These worrisome developments call for urgent action. The first step needed is to ensure that the right to water is realised similarly for every person. This requires enshrining the right in water legislation that the government will apply on a daily basis. This is in fact what is proposed in the Draft National Water Framework Bill, 2016 and in the draft Meghalaya Integrated Water Resource Management Bill, 2015. Both these proposed instruments would provide a statutory framework to realise the right to water, something that is currently missing in all states. Without this, right holders – namely every individual – have no way to hold the government accountable for its actions or inactions. The second thing that the state needs to do is to adopt legislation to protect water comprehensively. The national Water (Prevention and Control of Pollution) Act, 1974 is limited to addressing point sources of pollution and is therefore very narrow in scope. 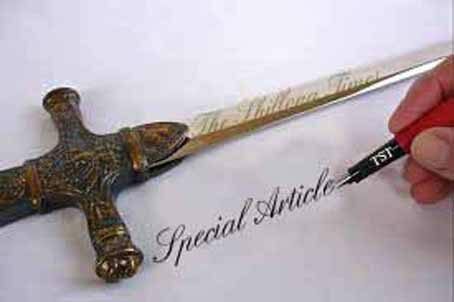 The Meghalaya Protection of Catchment Areas Act, 1990 constituted an early recognition that a broader perspective to protection of water is needed but it does not seem to have been effective in practice and efforts to amend it have not borne fruit yet. Other initiatives have been taken, such as with the Water Harvesting Mission but on the whole there is no comprehensive effective framework for protecting water, whereas efforts have been made at promoting water-based livelihoods and economic activities, for instance, through the Meghalaya Basin Development Authority. The legislation that is needed must address not only the scarcity prevalent in some areas of the state but also the recurrent floods occurring in plain areas. In other words, scarcity is crucial but is not the only important dimension that needs to be addressed. In terms of actors involved, the state is not only duty-bound to ensure the realisation of the fundamental right to water for all individuals but it must also ensure the accountability of all state and non-state actors for their use of water, whether in terms of avoiding the depletion of water sources or in terms of preventing pollution and ensuring that anyone harming water sources is held liable. In particular, it is crucial to ensure that private sector actors are made to comply with existing principles of environmental law and existing liability standards. This is a challenge throughout the country but one that needs to be addressed in each individual state in earnest. The onus of taking necessary measures to realise the right to water and to ensure the protection of water sources and catchments is first on organs of state. Yet, the state is not separate from its people whose democratic responsibilities include not only voting but also prodding the state to effectively realise their fundamental rights and to hold all actors involved in the water sector accountable. The key point is that individuals have rights whose realisation they are entitled to demand.The fundamental right to watergets priority but it goes without saying that a people that has a strong environmental conservation ethic will find it easier to prod the state in doing what it should be doing. This is where the traditional customary norms concerning protection of the environment come into the picture. Interestingly, if a lot of attention is still given to sacred groves, much less attention is given to traditional wisdom and norms centred on protecting water sources. The result of such loss is easily appreciated in the case of urban rivers turning into untreated wastewater drains and plastic waste dumps, as in the case of the Umkhrah and Umshyrpi rivers in Shillong. Addressing the challenges of water availability and water quality will require an effort from everyone. The state government must take a lead since water is a state subject and a number of issues can indeed be addressed at the state level. At the same time, water is first of all a local concern and must be equitably used and protected by local institutions at the village and municipal level, as well as in the district councils. Everyone must therefore engage with institutions of water governance from the local to the state level so that people’s water entitlements are effectively realised for all and so that actors over-extracting or polluting water for profit-making activities are held to account. This also implies that everyone must be environmentally aware in their use of water, which for urban residents in particular starts with avoiding the use of bottled water whose plastic shells can be seen everywhere, in a stark reminder that protection of water and the environment in general cannot be separated.